This first novel by the award-winning South African actress, playwright, and poet Ameera Patel is a contemporary tale of secrets, lies and ultimately love. 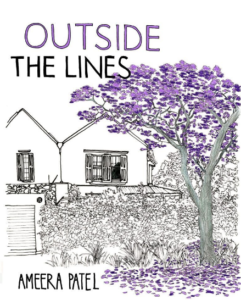 Disparate characters collide Flora, a domestic worker, Zindile, her drug dealer son, and Farhana, the Indian girl he is dating in secret, Runyararo, a mute Zimbabwean house painter, Frank, a widower, and his drug-addict daughter Cathleen. All will leave their mark on your memory as well as your heart. For those readers who love multiple character books like Americanah by Chimamanda Adichie or The Book Thief by Markus Zusak.